Annik Technology Walkin Drive 2015 For Junior Programmers. Job openings for BE, B.Tech, MCA, B.Sc, Diploma freshers on 28th January 2015. Interested and eligible candidates can directly attend the walkin interview. Annik Technology services Pvt. 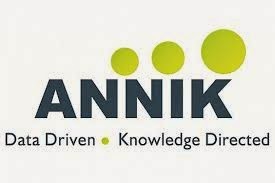 Ltd Annik is a global Insights partner providing data collection & enrichment, data management, business intelligence & analytics solutions across targeted domains.